Anchor, the UK dairy brand owned by Arla Foods, is holding a pitch for a consumer agency to deliver PR support for its new cheese campaign, PRWeek has learned. 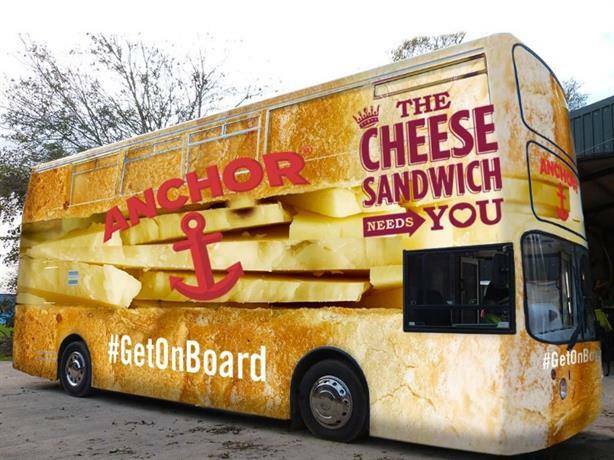 In February Anchor's in-house team launched a nationwide campaign in a bid to save the cheese sandwich, supported by 'The Cheese Sandwich Needs You' tour. PRWeek understands that Anchor is now looking for external PR support to work on a different campaign. The pitch process is being overseen by Louise Thornton, brand manager at Anchor Cheddar. In 2013 Arla Foods appointed Publicasity to handle the trade and regional PR programme for its range of cheeses, extending the agency's existing contract with the company.